The additions below can be used in our Custom Package as well as in addition to any other package. These are starting prices, with each being subject to availability. 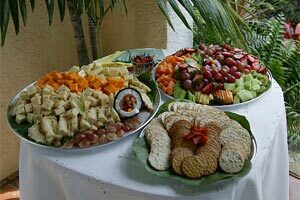 Weddings with 10 or more guests sometimes require more time; the packages are priced out for the bride & groom plus two guests.Please note there will be a 15% gratuity on parties of 20 or more. 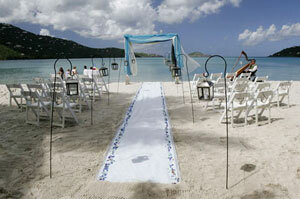 Planning a wedding on St. John? 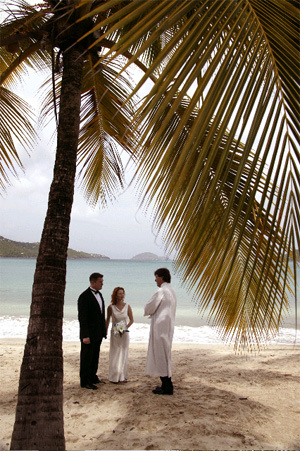 Please visit our St. John wedding page if you want to customize a St. John ceremony. 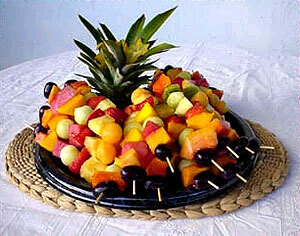 Our Custom Package is catered to you: whatever you dream, whatever you imagine for your special day. We’ll research ideas and estimates for you, finding what meets your needs as well as your dreams. 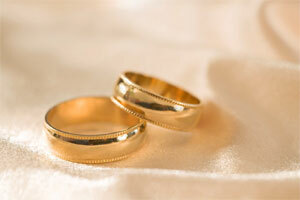 You’ll want the appropriate officiant for your ceremony to guarantee comfort, peace and perfection. We’ll find what you’re looking for. 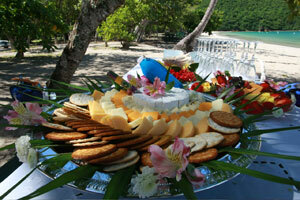 Every detail of your Caribbean dream wedding can be captured to enjoy and share with others after the ceremony. 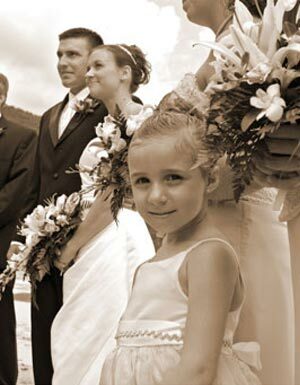 We offer a variety of options for both photography and video. All our photographers use the latest in digital technology to capture your moments. Images are edited and uploaded to Zenfolio for purchase. You can order prints and/or have all of your photos formatted to a CD. Videos for St. Thomas weddings start at $600. For complete details and photography information, check out our Photography page. You might also be interested in Artsy Couture Photo Blocks. 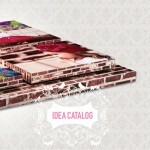 Artsy Couture offers you a unique way to display your photos to enjoy for years to come: photo blocks. Choose from a “Single” Gallery Block™ or a “Floating” Gallery Block™ style. The perfect finishing touch to your wedding dress and bridesmaids is a gorgeous bouquet. This is a basic list, custom bouquets are available. If you want to guarantee colors the minimum is $160. Preserve your flowers for a Lifetime! Click here to visit Keepsake Floral. For outdoor weddings or ceremonies on the beach, we have a variety of arches and aisle decorations for customizing your setting. We can mix and match props and floral arrangements to suit your style. Please see our Arches & Aisles page for more photos and ideas. Why not celebrate by sharing an exquisite cake right where you had your ceremony? Visit our Cake Flavors & Varieties page for more details. White chocolate seashells available to decorate cake. Cakes are available in several shapes and sizes. Contact us for custom pricing. *Fresh local flowers available at no additional cost unless specific color or flowers specified, if so then additional fees may apply. *White chocolate seashells available at an additional cost. 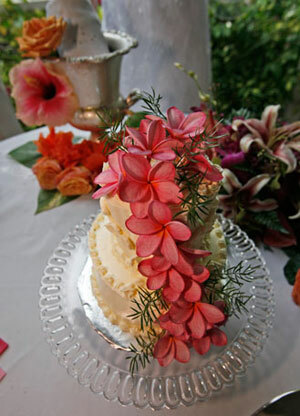 *Sugar Flowers available at an additional cost. Beverages not only satisfy the tastebuds but compliment the festive, personal ceremony. The two of you can have your first toast as husband & wife as soon as you say your vows. Champagne/Sparkling Wine: If adding to a package that doesn’t include champagne there will be a $75 setup fee. All packages include 4 people; if you have more than 4, there is a $2/person service fee for glasses. If there is cake & champagne, there is a $5/person service fee for plates, forks, napkins & glasses. Bottled water: $2/each Click here for details on personalized bottle labels. 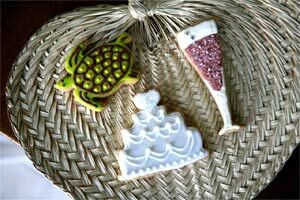 These delicate cookies can be specially made just for your ceremony. They make lovely wedding favors. Minimum of 1 dozen. Other designs available upon request. Coordination is key to making any event come off seamlessly, pleasantly and memorably–especially if you’re planning a ceremony in a distant location. Why not let someone who has experience and the local knowledge handle everything for you? When you arrive and prepare for your wedding, you can be certain that you won’t have to search for stylists at the last minute. We can arrange for a stylist to go to your hotel room to do your hair and makeup prior to your wedding. 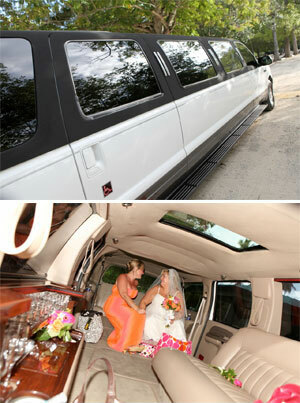 Your wedding is an experience of a lifetime, full of activity and celebration. Including a soothing massage in your plans can help you focus, relax and feel your best. 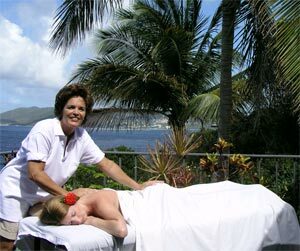 Our massage therapist is fully licensed and insured. Reflexology, Swedish, Deep Tissue; Hot Stone, Pregnancy and Modified Shiatsu are available. Exclusive Water Limousine – Charter a private yacht from your ceremony, and enjoy the ultimate ride back to your hotel or resort. 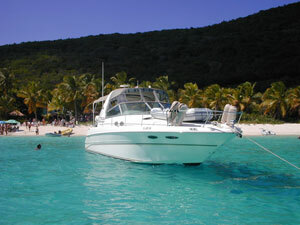 Champagne, chocolate covered strawberries, and fresh flowers await you onboard this beautiful Sea Ray power cruiser. 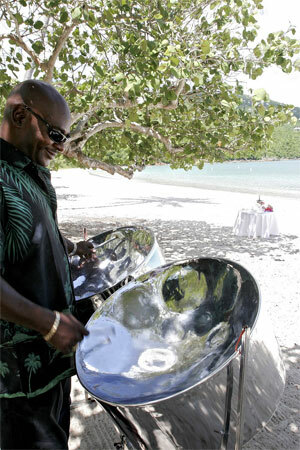 Or, try a Full Day Luxury Charter which includes an exquisite continental breakfast prepared on board, US/BVI Island hopping, snorkeling, afternoon gourmet hors d’ouevres, and open call liquor bar all day, up to 6 guests. Sunset or moonlight cruises (during the 7-10 days per month with good moonlight) are also available depending on your schedule. This vessel is fitted with underwater LED transom lighting, and it’s spectacular to swim in when lit. Our Garden Terrace location here on St. Thomas will take your breath away. 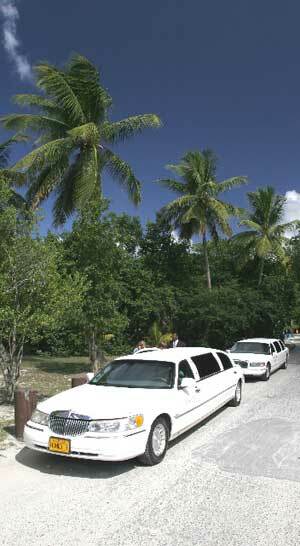 It is located on the North side of the Island and provides you with a romantic and completely private setting for your island wedding. 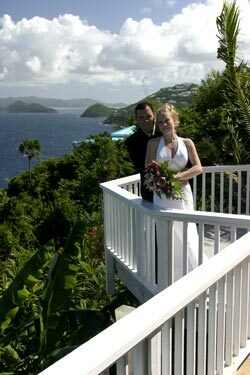 Located on a hillside, you are exchanging your vows to a backdrop of crystal clear, turquoise blue waters of the Atlantic Ocean. 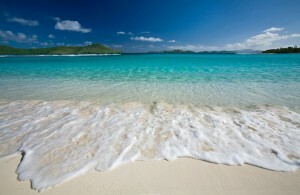 To compliment your view you can also see the beautiful British Virgin Islands. This location is perfectly suited to those couples that desire complete privacy as well as the combination of stunning ocean and tropical island foliage surroundings. Recommended for groups of 15 or less. See our Garden Terrace decorations page for ideas.